I hope 2016 is off to a great start for all of you. I'm excited to be back to work. There's something about the fresh slate of a new year that ignites a fire under me to tackle big things. Even if you don't have big projects planned, now is a great time to make other tweaks to your business. If you're still coming up with writing-related plans for the year or you want to make minor changes to see more success than last year, here are three things you might want to focus on. 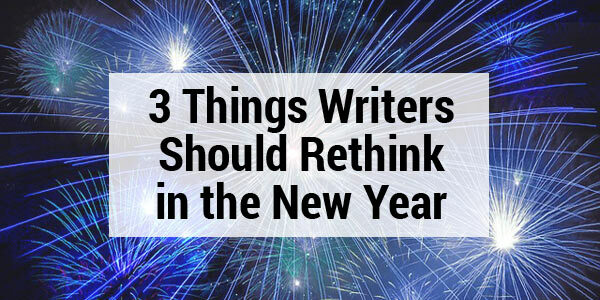 No matter what kind of writing career you have, January is a great time to adjust your pricing. For freelance writers that might mean increasing (or even decreasing) your freelance writing rates for certain project types. If you're an indie author, you might want to adjust your pricing strategy for your books. That could involve a temporary promotional price or a permanent price change. If you're a professional blogger, you can reconsider advertising rates, sponsored content pricing, or prices for courses and other premium products or features. Another area where you can make changes in the New Year is taking the "work smarter, not harder" approach by improving your productivity. Free up more billable hours or time to update your blogs or write new books. Test new work schedules to see when you work most productively. Try new scheduling or productivity tools (like the ones I recommended recently). Give gamification a try with rewards, timed work sessions, or friendly competitions. Even if you didn't do much long-term planning at the end of last year, there's still time. You can come up with a detailed editorial plan for your blog or publishing plan for your books. Or you might be better off with a simple planning approach of choosing up to three goals to work towards. You can use anything from apps like Todoist to print planners to help you stay focused. Do you struggle to follow through on big plans? Consider breaking them down into smaller tasks to help you baby-step your way to bigger goals. One way I like to do this is with what I call a "5 minute list." How is your new year shaping up so far? Did you come in with a plan or are you still deciding how you want to grow and improve? What tools and tips would you recommend to other writers looking to stay organized, productive, and on track to reach their project and income goals this year? Share your thoughts with us in the blog comments. This article gives some great advice for starting a new year off on the right foot. When a writer sits down to re-evaluate the previous year, they should look at ways to make the coming year better right out of the gate. I am a big fan of working smarter, not harder. It just makes sense and helps to alleviate some of the stress that being a writer can bring. I wish you all the best in 2016, and I’d like to thank you for every single article you’ve written so far. 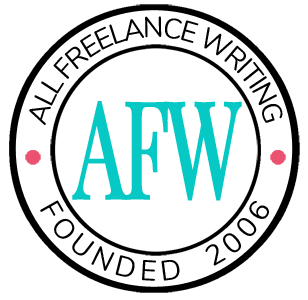 This blog is the most valuable resource of encouragement for freelance writers like me. Your advice helped me to make one of the most important decisions: to stop bidding for dull and lousy paid jobs on freelancerdotcom. My New Year resolution is to stop thinking about money for a few months and to do my best to make a fantastic blog. Now I am sure it will pay off sooner or later.